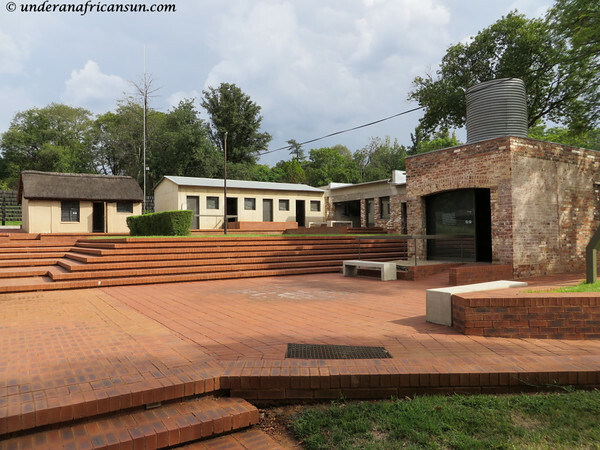 Johannesburg is quite rich in historical sites and museums however there is one place that I rarely see included in the usual tourist stops that really should be. In fact, I live only about 10 minutes away from this site and somehow over the past 2 years I have put off visiting. This was a huge mistake and I finally rectified this situation during this past holiday season. 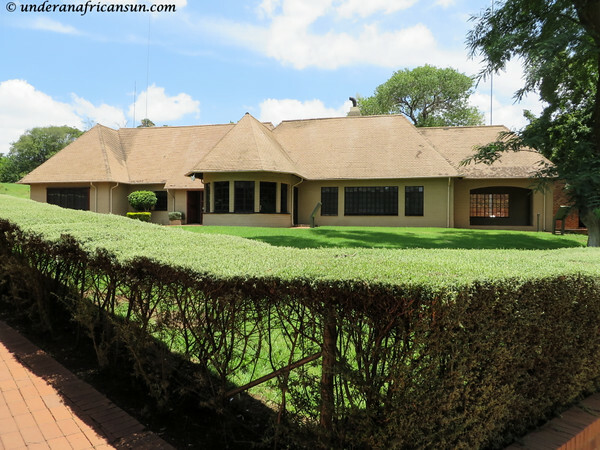 Liliesleaf Farm is located in the northern suburb of Rivonia. 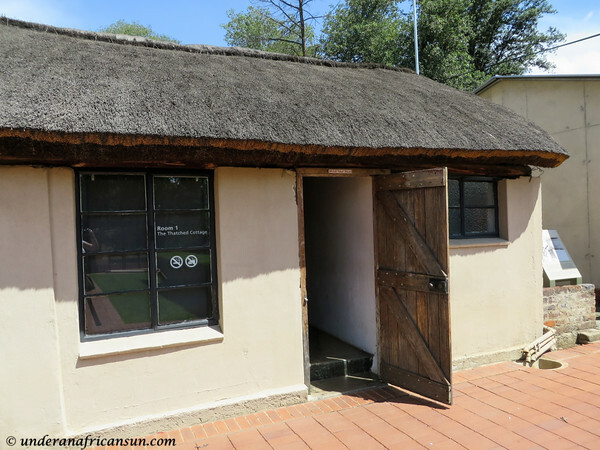 This was the headquarters of the underground anti-apartheid movement from 1961 until July 11, 1963, the day the farm was raided and 19 people were arrested for sabotage. 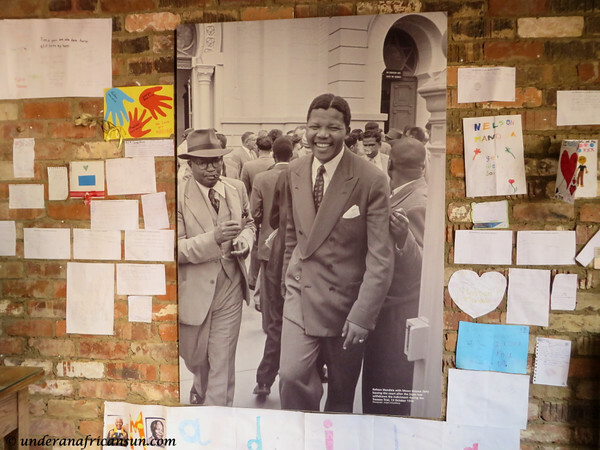 The raid lead to the Rivonia Trial in which 8 of the arrested were found guilty and sentenced to life in prison (including Nelson Mandela who was already serving time in prison on a different charge). The Goldreich’s, an affluent, white middle-class family lived in the Main House (photo above). Several activists, posing as black farm workers and domestic assistants, along with the Goldreich’s, created a fascade for the underground movement that went unquestioned, successfully hiding the true nature of the property. 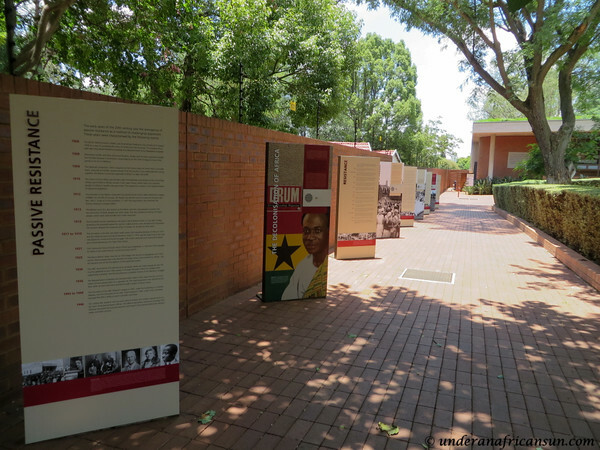 The visit starts with a short film in the Liberation Centre which describes the historical perspective of Liliesleaf in the liberation movement. There are also various displays and interactive exhibits providing even more background information about the farm. 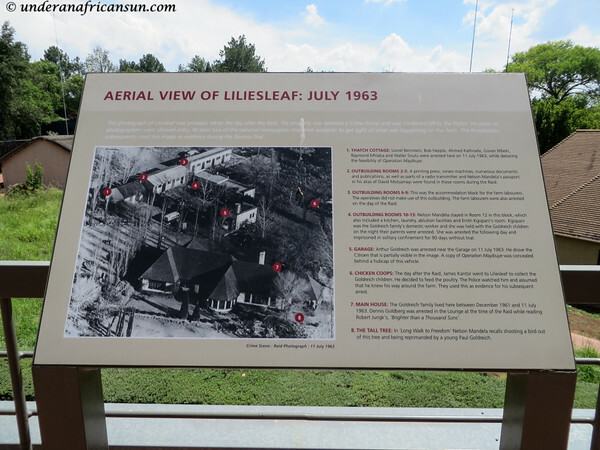 There is a ton of fascinating information throughout the site and I spent about 3 hours at Liliesleaf, not including lunch at Cedric’s Café. 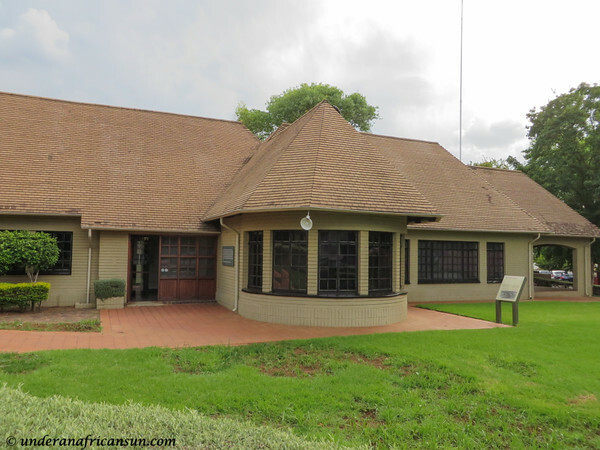 The restaurant serves soft drinks and light lunches and is a pleasant stop to break up the visit a bit. 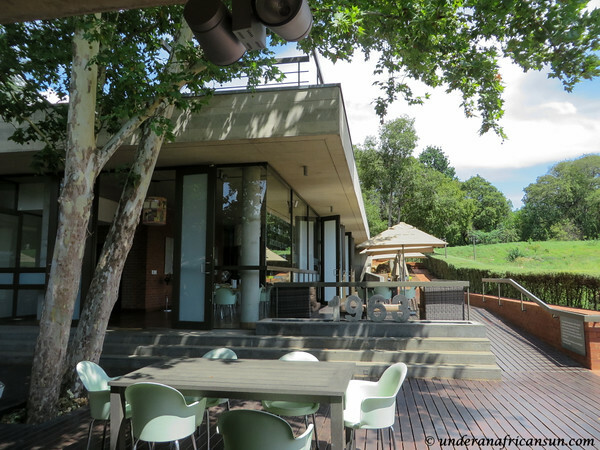 Be sure to head up to the roof of the café for a panoramic view of the farm and surrounding neighborhood. 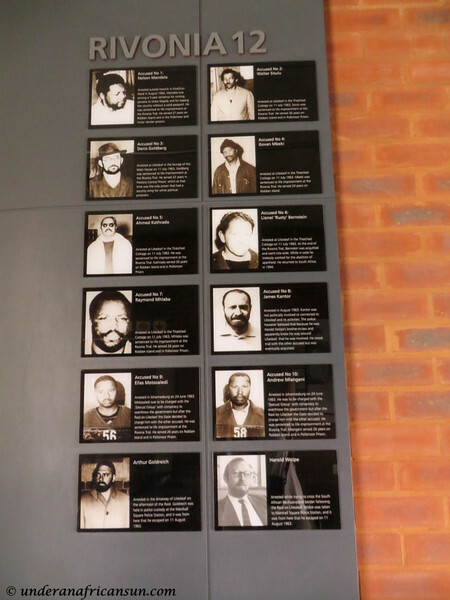 One of the things I enjoyed the most about my visit was the various recordings throughout the farm recounting the events that took place, including interviews with one of the arrested as well as one of the police officiers who participated in the raid. 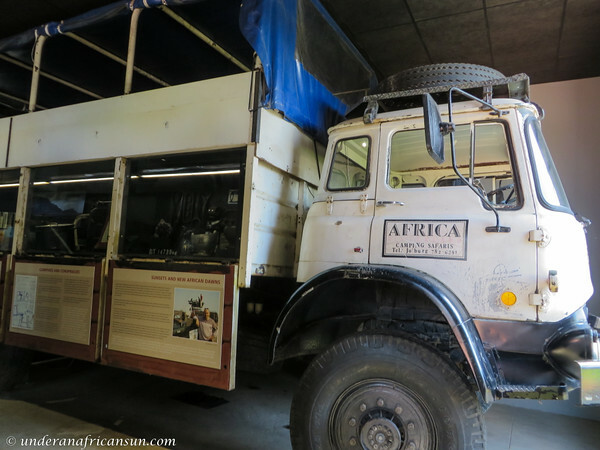 Something else which I found fascinating was that a UK safari company assisted the liberation movement by successfully smuggling arms hidden in a safari truck. They completed over 40 overland missions and were never caught, and the more than 500 tourists they transported were none the wiser. 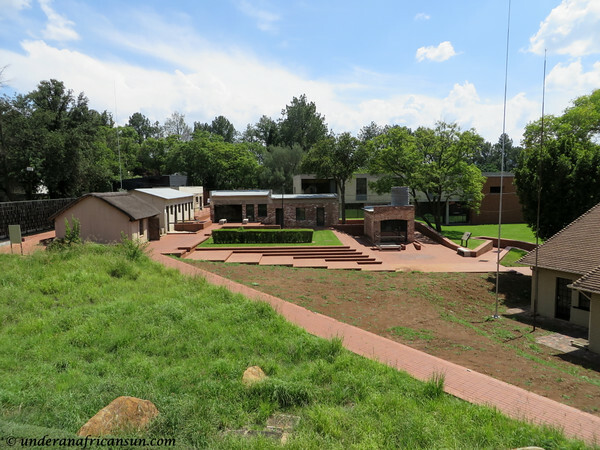 Nelson Mandela was the first activist to live at Liliesleaf. 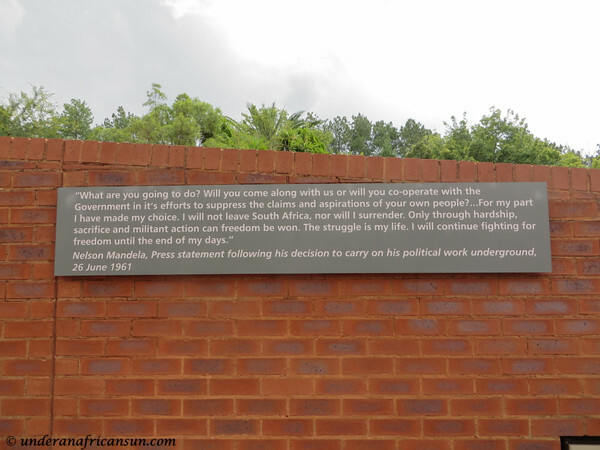 He had gone underground and took the alias of David Motsamayi, pretending to be a farm worker at Liliesleaf. 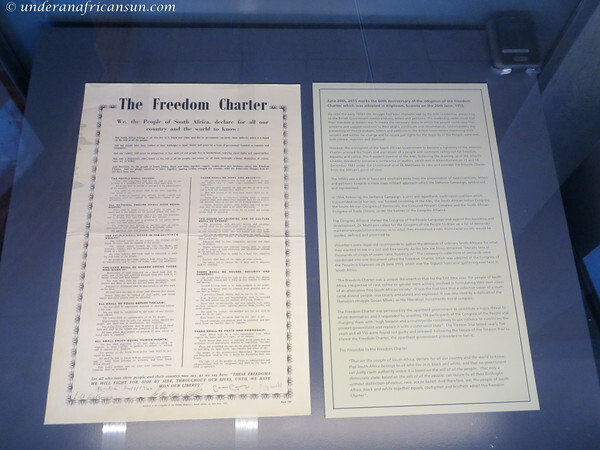 At the time of the raid, Mandela was already in prison serving time for other charges, but as evidence was found of his involvement at Liliesleaf, he was tried along with the others (and found guilty and sentenced to life in prison). 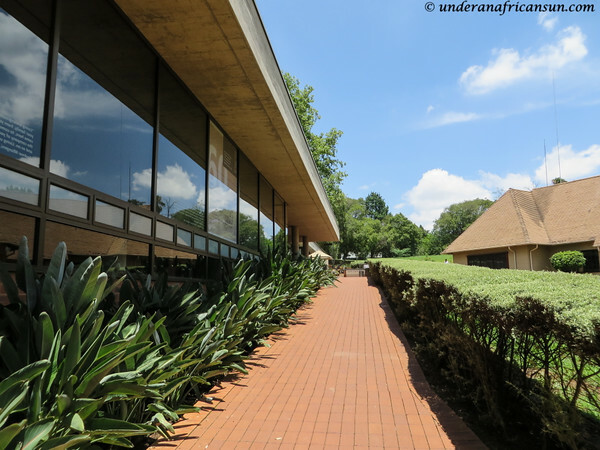 A visit to Liliesleaf Farm is a must-do for anyone interested in South African history. The site is open weekdays from 8:30am to 5:00pm and weekends and holidays from 9-4. 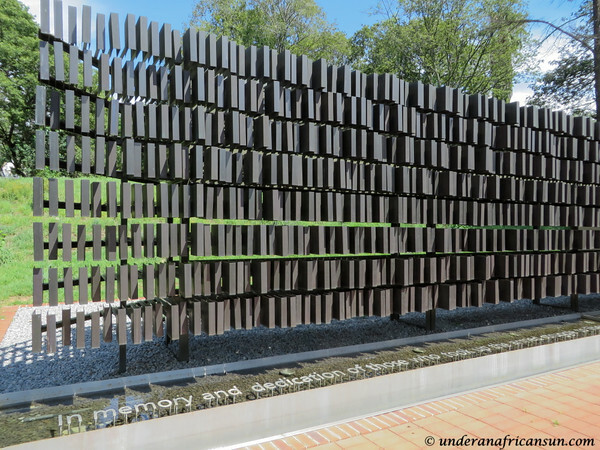 Admission at the time of my visit was 80 ZAR and I recommend at least 2.5-3 hours for the visit. 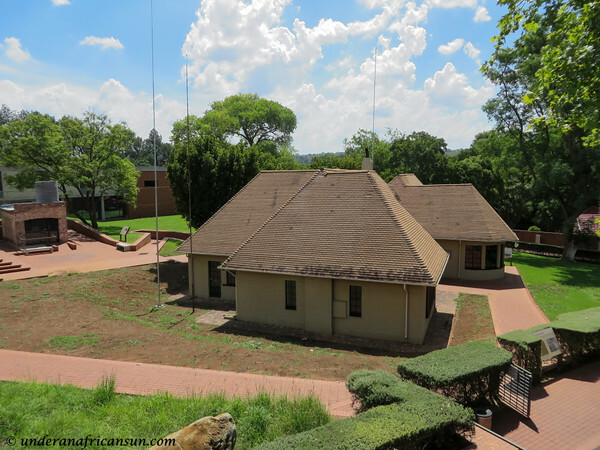 This entry was posted in History & Culture, Johannesburg, South Africa and tagged History, Johannesburg, South Africa by UnderAnAfricanSun. Bookmark the permalink.